Orlando City Soccer Club promotes responsible drinking and positive fan behavior at Orlando City Stadium. The Orlando City Fan Code of Conduct and details of the alcohol management plan that appear below ensure that fans have a safe and fun experience. Guests who engage in fighting, throwing objects or attempting to enter the field of play will be immediately ejected from the venue. Guests will be able to communicate instantly, discreetly and directly with Orlando City Soccer Club’s guest service center if assistance is needed in dealing with an unruly fan, a cleanup in their section or any issues and concerns that a guest may feel the need to report. Guests who violate the Code of Conduct may be subject to ejection without refund and, to the extent their conduct constitutes a violation of law, may be subject to arrest or face other sanctions; up to and including a ban. Season ticket holders may also be subject to having their season subscription revoked or facing other sanctions. The Orlando City Soccer Club and its affiliates are committed to creating a safe, comfortable, and enjoyable experience. Our staff has been trained to proactively intervene where necessary to help ensure an enjoyable gameday experience for all. Guests will enjoy the match free from disruptive behavior, foul/abusive language or obscene gestures. The progress of the game will not be disrupted by guests’ actions or unauthorized persons on the pitch. Guests will comply with requests from stadium staff regarding operations and emergency response procedures. The Orlando City Soccer Club and its affiliates appreciate that all guests observe our Match Day Etiquette / Guest Rules while attending events at the Orlando City Soccer Club. Please contact the nearest usher if for any reason another guest is interfering with your enjoyment of the game. Guests who choose not to adhere to these Match Day Etiquette / Guest Rules may be in violation of stadium rules & policies / city ordinances and are subject to staff intervention, which may lead to ejection and/or arrest. All guests must maintain reasonable and appropriate behavior at all times. Guests using offensive language or engaging in disorderly conduct may be ejected from the stadium and may be subject to arrest. Ejected guests will not receive a refund for their tickets or be compensated in any way for their loss. and will not be tolerated. If you hear it, report it to Guest Services or Security immediately. and support the league and police in obtaining football banning orders. Notify any employee – Usher, Event Security, Supervisor, Concessions, or Housekeeping. Guests are expected to obey all Florida state and local laws governing the purchase, possession, and consumption of alcohol. It is illegal for anyone under the age of 21 to consume alcoholic beverages. In addition, the following items are to be noted: Orlando City Soccer ClubStadium reserves the right to deny entry to anyone who appears to be impaired. For all soccer events (MLS, NWSL, USL, etc.) alcohol sales will be ceased at the 70th minute. There shall be a maximum limit of two alcoholic beverages sold to each guest, per purchase, per valid ID. All Guests who appear to be younger than the age of thirty-five (35) will be asked to show positive identification prior to being served alcoholic beverages. Acceptable forms of valid United States identification are: Driver’s License, Passport, United States Passport Card, State Issued I.D. Card w/ Photo, Military I.D. w/ Photo and Mexican Consular Card. 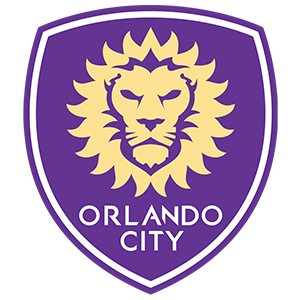 Orlando City reserves the right to eject anyone under the age of twenty-one (21) who is observed to be in possession of, or consuming alcohol on the premises. Spectra reserves the right to change or modify the alcohol policies at any time. Designated drivers who make this pledge at Orlando City SC home matches receive a free soft drink and are entered into the Major League Soccer Responsibility Has Its Rewards Sweepstakes.